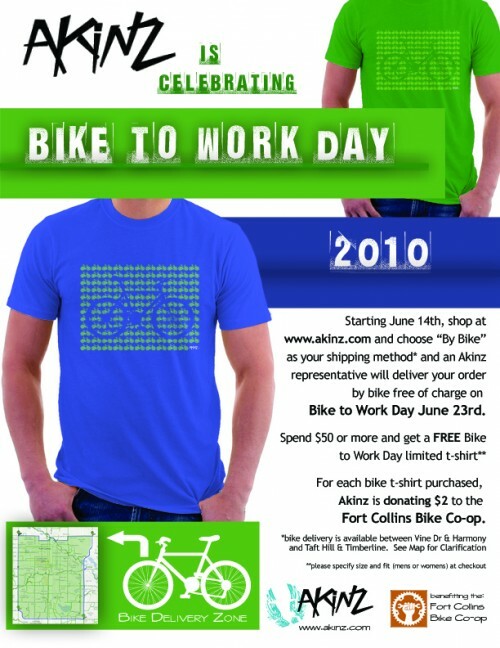 Fort Collins Bike Co-op » Blog Archive » Buy a Bike to Work Day shirt to support the Bike Co-op (and local business)! Buy a Bike to Work Day shirt to support the Bike Co-op (and local business)! Local clothing company Akinz has created a special Bike to Work Day t-shirt that is available for purchase online ($22) and if you buy one between now and June 23rd, Akinz will be donating $2 of each Bike To Work Day t-shirt sale to the Fort Collins Bike Co-op!! This vintage soft t-shirt is available in royal blue and kelly green in both men’s and women’s fits, and has a sweet bike illustration on front. The shirts will also be available for sale at The Wright Life. If you’re diggin’ the Akinz style, you should know that ordering $50 worth of gear will earn you a FREE Bike To Work Day shirt! And, if you order online between now and 6/23, you’ll have the option to select “deliver by bike” as your shipping option! 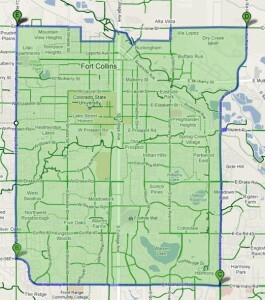 *Note: Bike delivery area is limited between Vine and Harmony, and Taft Hill and Timberline. See below for clarification. This entry was posted on Tuesday, June 8th, 2010 at 7:46 am	and is filed under Extra Co-opericular. You can follow any responses to this entry through the RSS 2.0 feed. You can leave a response, or trackback from your own site. Thanks for mentioning the promotion! So far we’ve raised $64 for you guys!